Northwestern College’s online programs have been recognized as among the nation’s top-25 programs of their kind for quality and affordability by SR Education Group. SR Education Group ranks Northwestern’s online programs fourth on its list of the 2018 Best Online Christian Colleges. The ranking is based on colleges’ academic merit, Christian religious affiliation and cost. Data was collected from official school websites and accreditation agencies and from the National Center for Education Statistics. 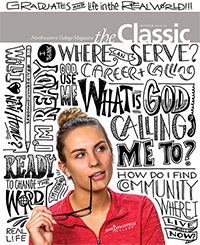 Northwestern was also ranked 17th on SR Education Group’s list of the 2018 Most Affordable Online Christian Colleges. More information about Northwestern’s online programs is available at online.nwciowa.edu.